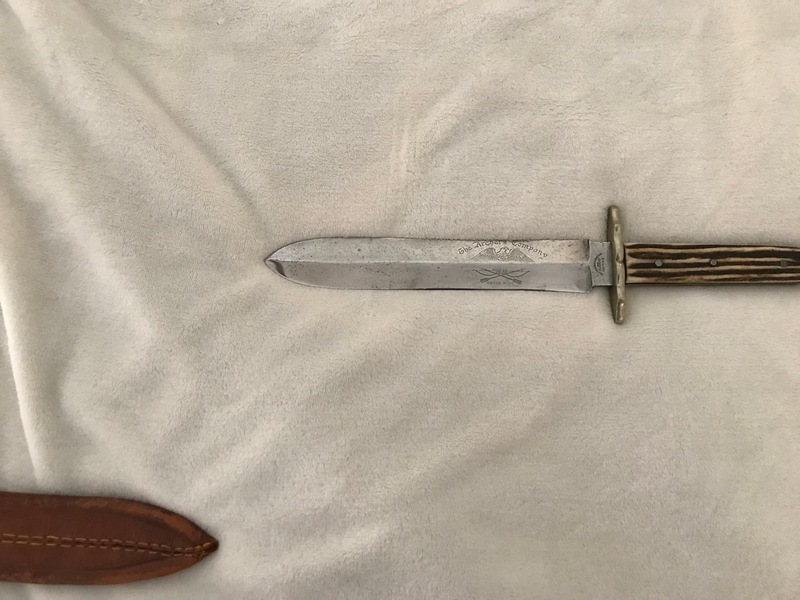 Can anyone tell me anything about the knife that was pictured in The Archer's Company catalog? I've only ever heard of two in collections. One was like new and a second one was well sharpened and was in Texas, owned by a guy named Smith. Is that Smith you? The Smith you're thinking of was my dad. He passed away 2 years ago. Thats interesting to know there is at least one more some where. I'll try to get better pictures of it soon. Austin - Sorry to hear about your Father. I talked with him on the phone many times and he bought several broadheads from me as he was an energetic collector at one time. During the late 1990s I went out to dinner with him on one of my trips to Texas.